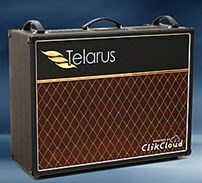 The Accelerated Marketing Program (AMP) powered by ClikCloud will give Telarus partners an affordable way to market to their customers. Our passion at Telarus is helping our partners grow their business. Telarus, Inc. distributor of commercial data, IP, and voice services, announced today that it has launched an exclusive marketing program to their partner base across the country. The Accelerated Marketing Program (AMP) is a pay as you go marketing service powered by ClikCloud and only available through a Telarus partnership with a unique bundle of services competitively priced for Telarus Partners. "Our passion at Telarus is helping our partners grow their business. This program shares that same mentality while in return allows us to fill a need that our partners have," commented Austin Holverson, Director of Marketing for Telarus. "The AMP program will give an identity to our partners brands and will allow them to stay in front of their customers in a more strategic way." Aside from the AMP program, Telarus currently offers partners coaching on email marketing, LinkedIn, blogging, event marketing, 360 marketing review, as well as custom PowerPoint creation. Telarus once a week also hosts one of the industries largest sales calls where these best practices are shared with partners. "Telarus understands the needs of their partners and wanted to help them grow by providing a simple, affordable, and most of all, valuable way to market to their customer base. The Telarus now offers their Channel the best online marketing program in the industry combined with the best commercial data, IP, and voice services service available," commented Dan Shapero, Founder of ClikCloud. If you would like to learn more about the program visit: http://www.telarus.com/amp or contact Austin Holverson at (877) 346-3232 for more information. Telarus, Inc., a value added distributor that holds contracts with the world's leading commercial telecommunication carriers, makes it easier and more profitable for solution providers, VARs, and MSPs to sell and source voice and data WAN solutions. Our patented GeoQuote platform combines real-time carrier pricing with advanced research features and branded proposals. Telarus' experienced Sales staff is strategically focused on enterprise WAN and high-capacity bandwidth solutions, making it easier to find the best offer, every time. For its part, Telarus has been named the top Master Agent by the members of the Telecom Association in each of the past three years, the first and only company in the carrier channel to accomplish this feat. Whether you are a top producer or a voice-and-data expert just starting out on your own, there is a place for you in the Telarus community. For more information on the Telarus partner program, please visit http://www.telarus.com or call the new partner hotline at 877-346-3232. ClikCloud is a pay-as-you-go digital marketing service that provides turnkey websites, blogs, email marketing and social media programs for an affordable, fixed monthly fee. ClikCloud is Hootsuite Certified and an offers an array of search engine marketing services from pay per click management to SEO. ClikCloud Advisory Services offers go to market support for emerging companies. Clients include companies providing business continuity, disaster recovery, cloud services, IT managed services, staffing organizations, property management, and mobile application developers. Founded in 2011, ClikCloud is your one stop shop for all your company’s marketing needs.